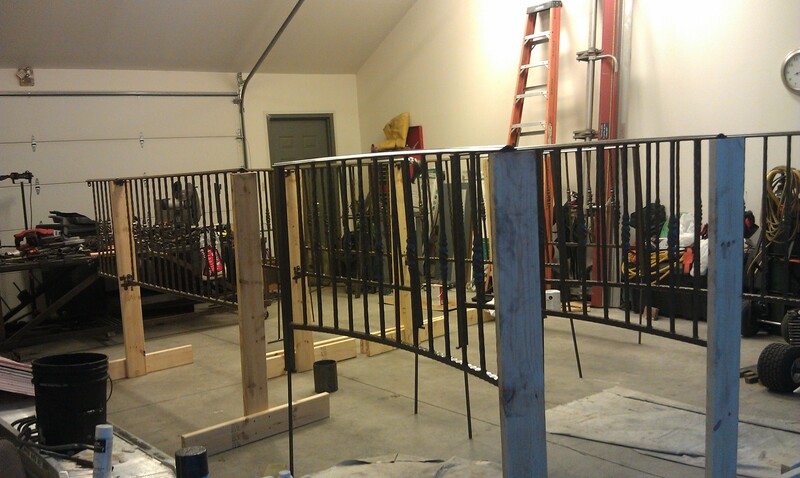 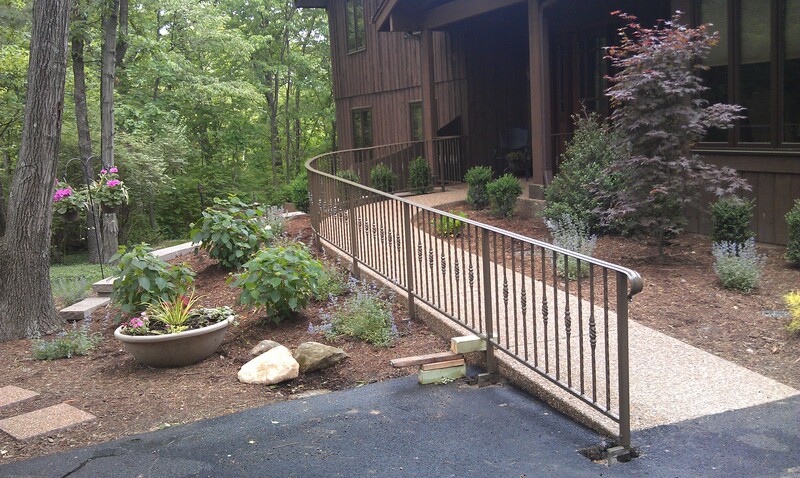 Custom handrails were curved to fit special designed “heated” sidewalk. 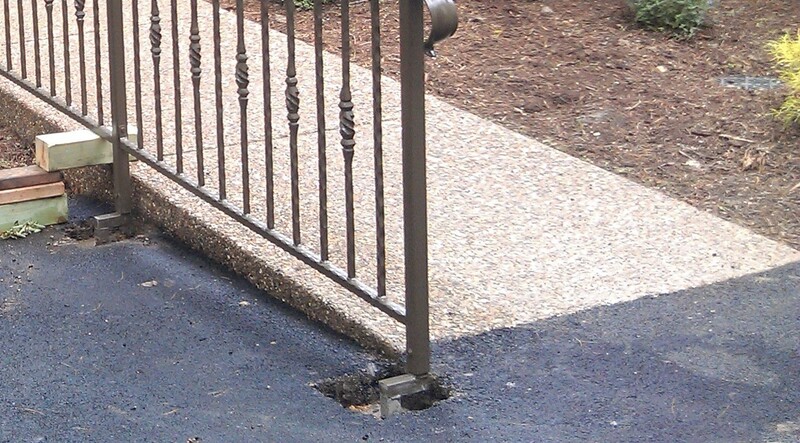 Installation was achieved by off-set posts going into concrete piers next to the sidewalk. 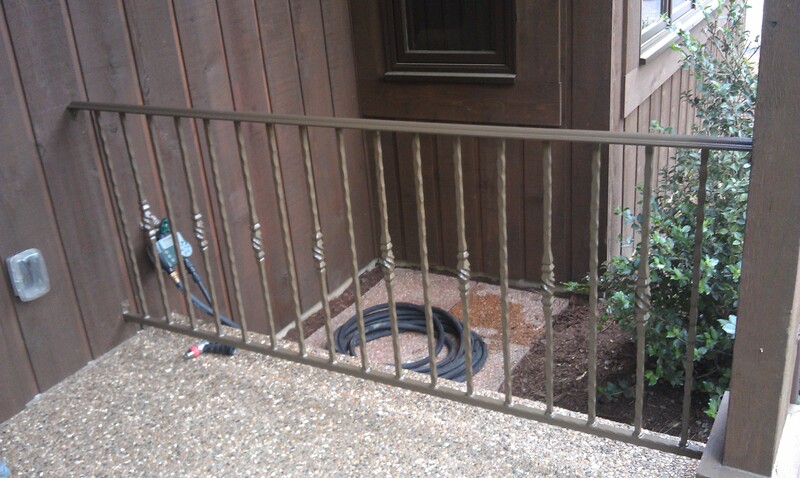 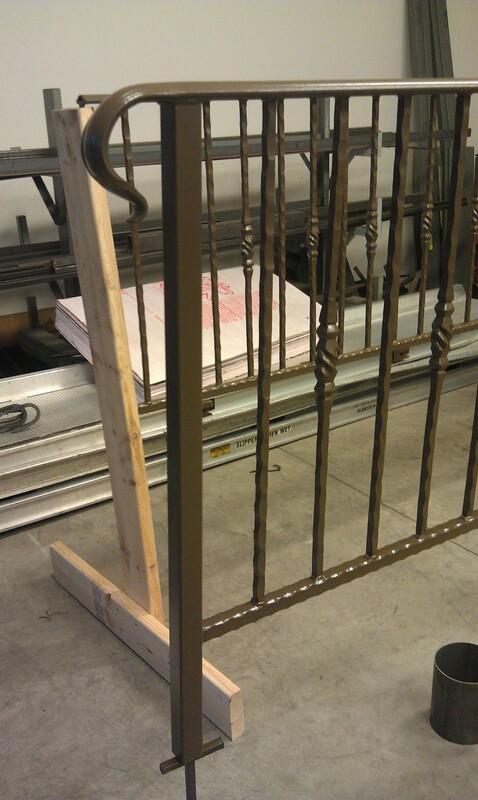 Customer wanted rails to be “removable” so we fabricated a “sleeve-type” connection at the top of the concrete piers. 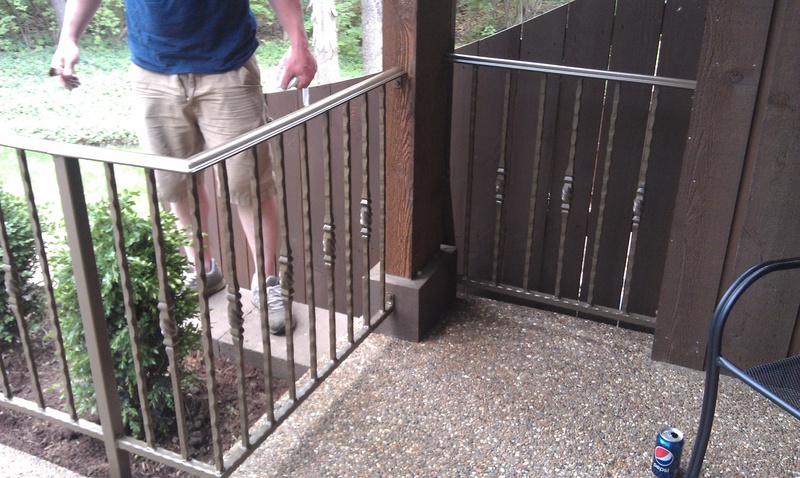 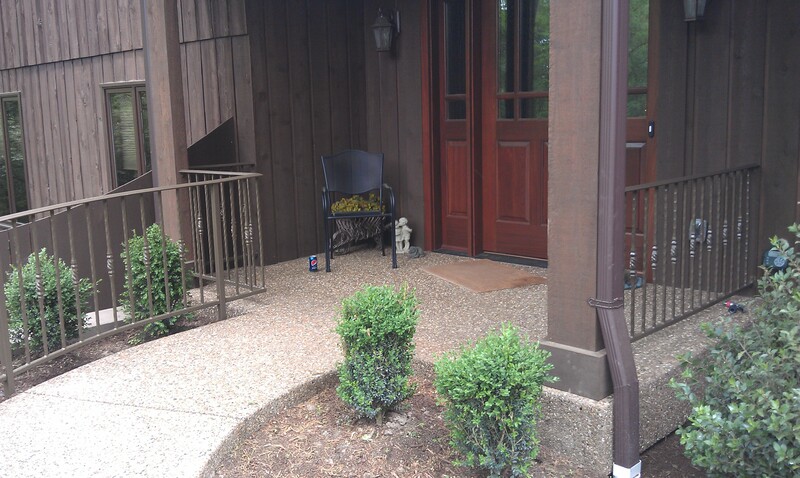 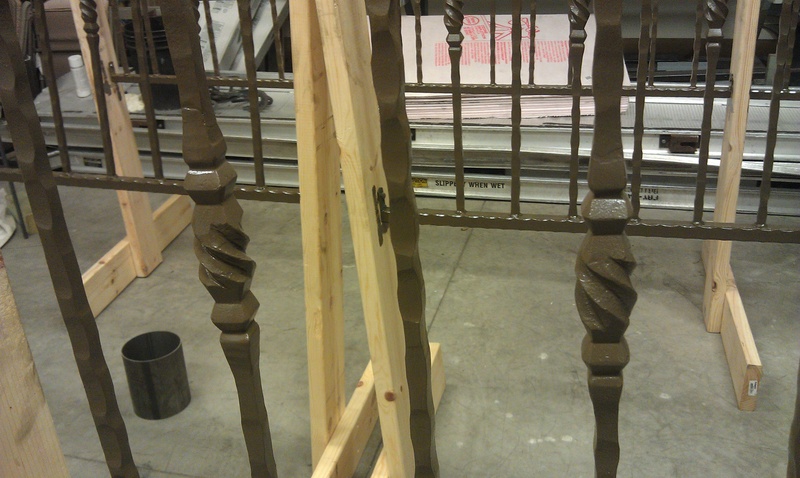 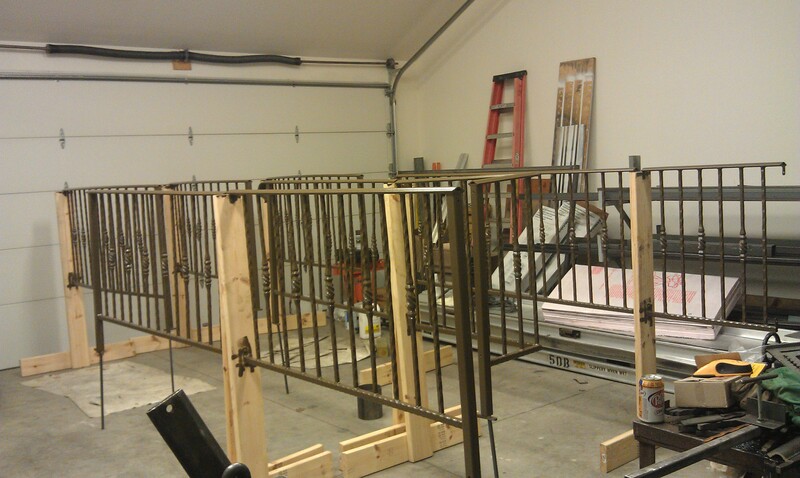 Rails were painted per customer’s desired color. 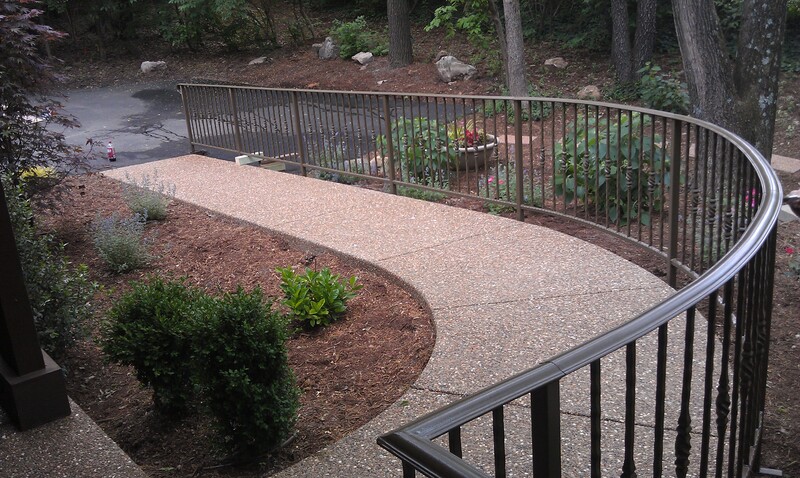 Another very satisfied customer!